It's almost DECEMBER guys!! Can you believe that?! As we are getting into the swing of the holidays- I always start planning out what I'm going to get everybody for gifts. The one person I get stuck on every.single.year is my dear husband. He is the guy who doesn't want much and when he does- he goes out and buys it on his own. I am ALWAYS struggling to find the perfect gift at the last minute. JORD watches is the PERFECT gift for any special guy in your life! Not only is it beautiful quality, you can get it engraved, which is super special and a great, personalized touch. I chose this watch for Will- the Fieldcrest series in Dark Sandalwood. 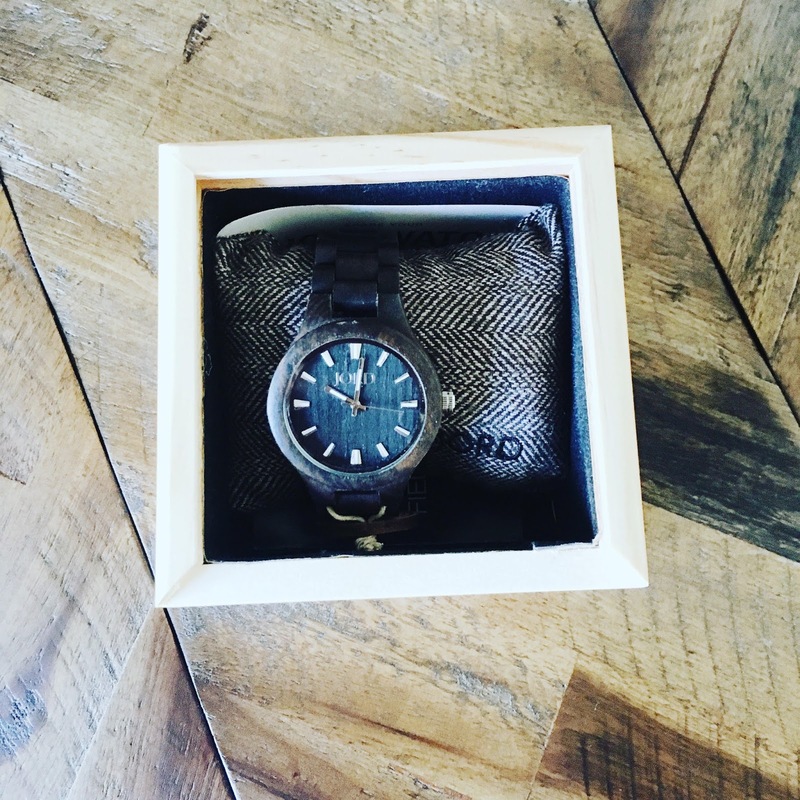 Will is a no fuss, no muss kinda guy so this watch was simple, elegant, and the dark color goes with everything! It was so hard choosing a watch as all of the options are beautiful. The good thing is, no matter his style, you will be sure to find the perfect one with the variety of options and colors available! Even the packaging itself was unique and beautiful. 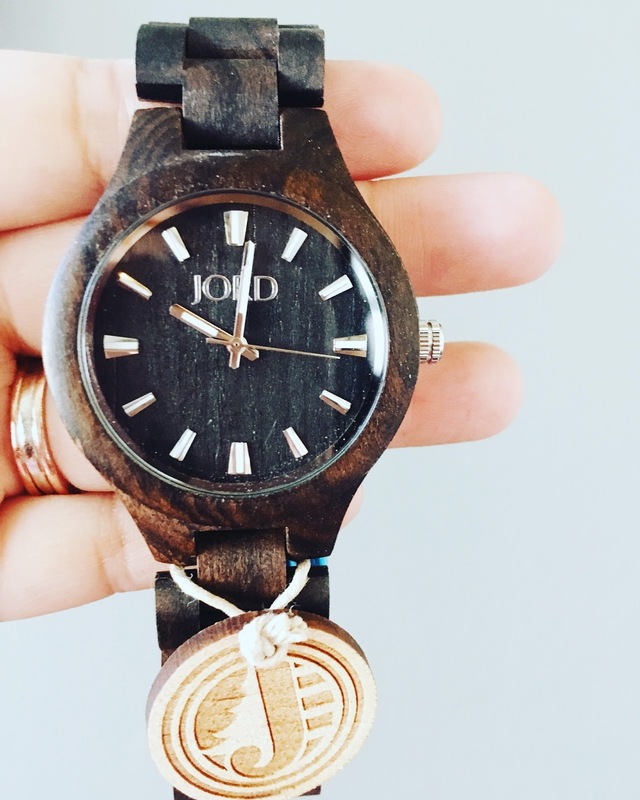 It came in a wood box that will be wonderful to store the watch when it isn't being worn. The watch itself was even more beautiful in person and the quality was stunning. Will loved how light it felt and how easy it is to pair with most anything in his closet. Here is a link to receive 25% off! Click here . You just have to enter you name and email and you will instantly receive the discount! This discount is only good until December 15th! If you order now, it will be here by Christmas!